← Okay, Last “Avengers: Age of Ultron” Trailer! Very sad news. I’m glad he has the strength of his faith and his family around him. When I began paying attention to Black press (as in, weekly Black newspaper) column writing in the 1990s, his column was everywhere. 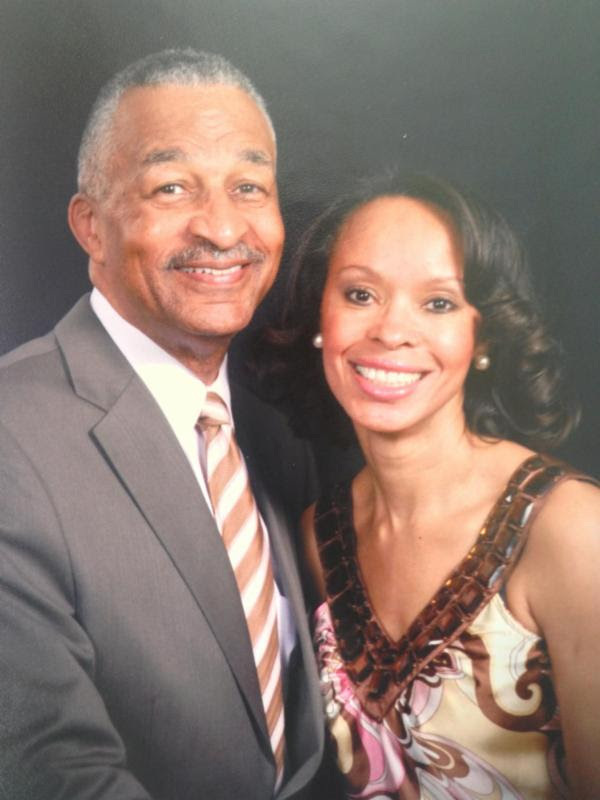 Veteran Black press columnist Jim Clingman has been diagnosed with ALS. (TriceEdneyWire.com) – For the past 22 years, Jim Clingman has published his cutting edge “Blackonomics” column in Black-owned weekly newspapers around the country. The column mainly pushes for economic justice, which he views as a core necessity for Black progress in America. But as this award-winning columnist, author of four books, college professor, entrepreneurship expert, speaker and businessman continues to fight with his pen, Clingman, a Cincinnati, Ohio native, is suddenly engaged in an unexpected and devastating personal battle. It is a battle for his own life – and quality of life. Eighteen months ago, doctors diagnosed Jim Clingman with ALS, the gradually debilitating disease that leads to partial or total paralysis of the body and a most often two to five year lifespan after diagnosis. It is the ailment that has become known as “Lou Gehrig’s disease”, named for the professional baseball player that died from it in 1941 at the age of 37. Many have learned of ALS from the so-called “ice bucket challenge” that has raised more than $100 million to research the mysterious illness. Despite the popularity and positive results of the challenge, it can effectually belie the physical, emotional and mental suffering of those who have been diagnosed with it. So far, the creeping symptoms which he first noticed six years ago in 2009 with a weak foot that caused him to stumble when he tried to bowl, have gradually grown into the loss of his ability to walk without help from a walker to sturdy himself. The weakened muscles in his feet and calves have also ended his beloved 35-year bicycling activity. But because the disease is so mysterious, he recalls how just getting to an actual diagnosis was literally a roller coaster. First, in 2010, he went to a doctor who said he had a spinal stenosis, which means a nerve in someone’s back, protruding through the vertebrae and irritably rubbing on the bone. The doctor said, “it’s pretty simple to fix” by shaving the bone so the rubbing couldn’t happen, Clingman recounts. Attempting to avoid the surgery, he went through a few months of therapy first. But, then he noticed that his left calf was becoming smaller than the right and that his left leg had become weaker. Then, on Aug. 23, 2013, he received the devastating news. For a healthy man then 69, an avid cyclist who could ride a hundred miles on his bicycle, the diagnosis literally rocked his world. Now, 18 months since the diagnosis, Clingman is beginning to feel the effects in his upper limbs. And then there’s the mind-numbing prognosis. Typically, ALS patients live between two and five years after diagnoses, according to the National Institute of Health. But Jim Clingman – and his family – are anything but typical. Alongside his wife, Sylvia, a neo-natal intensive care nurse, and his daughter, Kiah, a graduating senior at the Howard University School of Communications, this family is standing on their spiritual faith in God while doing all they can in the natural to fight. The ALS Association reports that about 30,000 people in the U. S. are currently diagnosed with ALS. About 5,600 people are diagnosed with it each year. Meanwhile, there is only one drug for ALS that is approved by the U. S. Food and Drug Administration (FDA). It’s called Riluzole. A blue bottle of it sits on Clingman’s desk in a den otherwise surrounded by photos of loved ones, books – lots of books – of course his computer, and his walker nearby. Riluzole “slows progression of ALS but does not cure it,” according to NIH. The agency also reports studies that conclude that Riluzole only prolongs life for a range of months. “It keeps your diaphragm from collapsing, which would prevent breathing,” Clingman explains. But, other, even better medications are being studied. But, the article, written by Angelina Fanous, a 29-year-old who has been diagnosed with ALS, comes to a similar conclusion that Clingman expressed in the interview. The petition appeals to U. S. Senator Lamar Alexander (R-Tenn.) who chairs the Senate Committee on Health, Education, Labor and Pensions; Sen. Patty Murray, the ranking Democrat on the committee; as well as Janet Woodcock, the doctor who is director of the FDA’s Center for Drug Evaluation & Research. About 18 other people, including senators and FDA administrators are also listed. ALS notwithstanding, Jim Clingman is up for this fight. He is well aware of the petition and hopeful that millions will sign it and that the powers that be will listen. But, as he waits, he and his family are leaning on their faith, which right now, is everything. 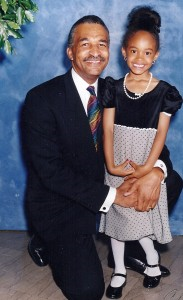 Jim and Kiah Clingman, now a graduating senior at Howard University. (TriceEdneyWire.com) – It was the perfect plan. After living in his native Cincinnati, Ohio for all of their 22 years of marriage, Sylvia and Jim Clingman were preparing to move to another state and start a new life. Mrs. Clingman, a neonatal intensive care nurse manager, had accepted a new job at the Greenville Memorial Hospital in Greenville, S.C., one of the nation’s best cities for retirees, according to AARP. In the comfort of their new home in a beautiful quiet subdivision, Jim would continue writing his national “Blackonomics” column for weekly Black newspapers and serve as a consultant to his clients while also enjoying bicycling, one of his favorite pass times, along the rolling hills of Greenville. Kiah, their only child, was independent and away at college most of the time. The popular student leader and graduating senior at Howard University was focused on her career in advertising and marketing. Though they only spoke a few minutes at that event where they met, he was obviously equally impressed. A few weeks later, he called her at the hospital where she worked and the rest is history. They married on Dec. 15, 1991, and were now preparing to start a new season in their lives. But, that dream took a sudden and traumatic turn 18 months ago when Jim Clingman was diagnosed with ALS, so-called “Lou Gehrig’s disease”. It is the neurological illness in which the normal prognosis is that the patient gradually becomes paralyzed and then dies within two to five years, although some have lived much longer and some patients have even seen their symptoms stop, according to the ALS Association. While Mrs. Clingman had moved ahead to start the new job as her husband prepared to join her, his weakened left foot and calf continued to grow worse despite surgery and batteries of tests. Finally, there came the devastating diagnosis August 23, 2013. “Accept it?” How does one “accept” a prognosis like that of ALS? According to Jim Clingman, “First you cry.” But, then what? Contemplating the question, he speaks slowly, thoughtfully, a man who has never even spent a night in a hospital, now trying to wrap his mind around what has become the spiritual test of his lifetime. Miraculously, he has found blessings, even in the midst of this tragedy. It also helps that he is not physically alone in this journey. In addition to Sylvia, Kiah and extended family members, the popular columnist, speaker and author of four books has scores of friends and thousands of fans. They include His lifelong pastor and his new pastor in Greenville. Both marvel at how Jim Clingman is handling this. Now attending Grace View Church of Christ in Anderson, S.C., Clingman has remained steadfast in service. “He’s not wavered in his faith at all,” says Grace View pastor, Bryan Jones. Clingman even preached at his church earlier this year. Seated in the pulpit, he encouraged the congregation with the message titled, “Tickets Please”. From Hebrews 9:10, it was about “how Christ died once for all. Everybody has a free ticket,” Clingman recounts. A major part of that pain has been his concern for their beloved Kiah. Always a daddy’s girl, she too was naturally devastated by the diagnosis. “My Dad actually tried to hide it from me for a while,” Kiah recalls. She was about to leave for London for an educational endeavor in the fall of 2013 when she found out from a relative who mistakenly let it slip out during Thanksgiving break. Fast forward through the tears, her parents convinced her to go to London. Eighteen months since the diagnosis, his faith has indeed encouraged the entire family. Like her father, Kiah is also a fighter. When the Veteran’s Administration turned him down for assistance, she persisted, searching the Internet and making phone calls until she found someone who would listen. Finally, Clingman, a veteran of the U. S. Navy, was informed that he would receive full benefits. That moment was part of an answer to his prayers that his wife would never be saddled with debt because of his illness. His other greatest concern is still in the works. Meanwhile, America is to hear much more from Jim Clingman. He has just completed his fifth book, “Black Dollars Matter! – Teach Your Dollars How to Make More Sense.” And he continues to write his Black press column, “Blackonomics”, which he also posts on his website, Blackonomics.com. No matter what the doctors say, this family still has hope. “The doctor gave me a death sentence, but God has already given me a ‘Life Sentence,’ and enternal life sentence,” Clingman said. 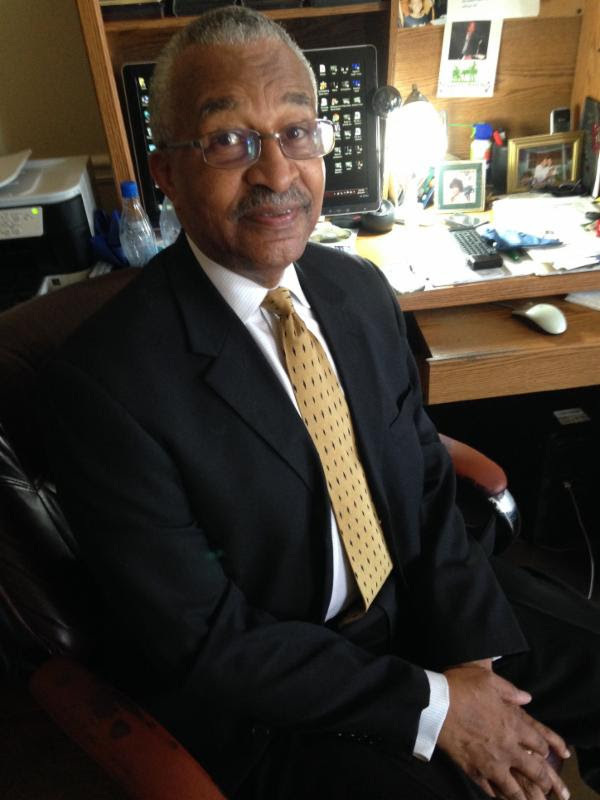 Jim Clingman can be reached at JClingman@Blackonomics.com.